If there’s anything a parent would have his or her child to have, it’s success. There’s really nothing more reassuring to know that your loved ones have reached significant milestones in life as fruits of their hard work. As for Jennifer David, otherwise known as “Mommy Peng,” she can now sleep soundly at night after knowing that her daughter, Shaira David has got it all covered. 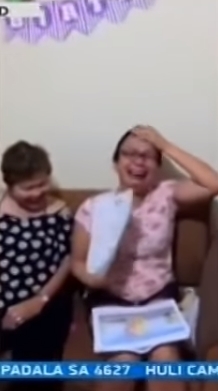 In fact, her daughter even surprised her with a house and lot as a gift for her recent 40th birthday. At a young age of 21, high school teacher Shaira was able to successfully purchase a rent-to-own property in Porac, Pampanga. What more amazing is that she didn’t think twice in deciding to gift it to her mother. 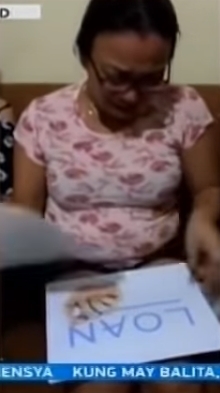 On a now-viral video, Shaira came up with an elaborate plan to surprise her mother with her grand present. 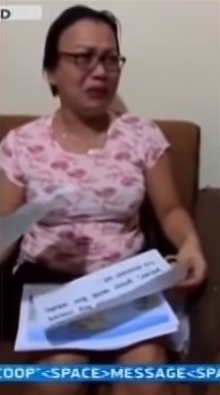 The video started as Mommy Peng read a few messages from pieces of papers. 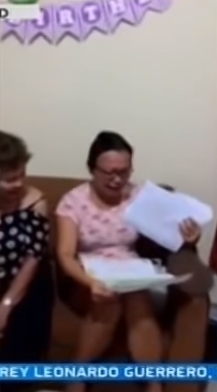 After realizing what’s in it for her, she couldn’t help but break down and cry for the amazing present she received. “Na-amaze po ako. Nabilil ako sa kanya, bakit nagawa niya lahat ‘yun para sa aki. 21 lang po siya. Parang ako na po ‘yung pinakamasayang mama sa buong mundo nu’ng time na ‘yun,” she told GMA reporters on Balitanghali. Meanwhile, Shaira said that her grand gesture was a way for her to give back to her mom, who she knows worked hard to provide for her and two of her siblings. “Yung paghihirap ng nanay ko, sir, marami siyang pinagdaanan. 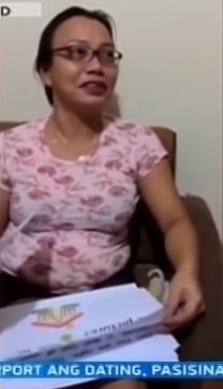 So gusto ko, ako naman ngayon ‘yung magbigay ng ano sa kanya, happiness,” she added. Following her viral video, Shaira and Mommy Peng even posted several photos of them on the site where their new home is being constructed. Judging by the photos, it seems that the mother and daughter are more than excited to move in. “Good job Girl. God bless you more. Aku man enaku cguru makyasawa. hehehe. All I want also is the best for my family. What do you think of Shaira and Mommy Peng’s story? Share your thoughts in the comments section!